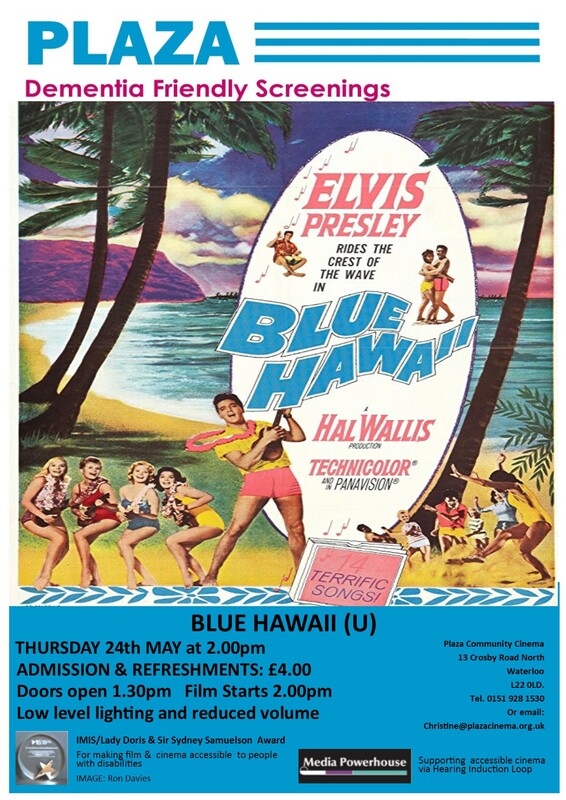 On Thursday 24th May The Plaza will be featuring Elvis in ‘Blue Hawaii’, at the usual time of 2.00pm. Click here to see the poster for the event. LENGTH: 1 hour 42 mins. STORYLINE: Chad Gates has just left the Army, and is happy to be back in Hawaii with his surf-board, his beach buddies, and his girlfriend. His father wants him to go to work at the Great Southern Hawaiian Fruit Company, but Chad is reluctant. So Chad goes to work as a tour guide at his girlfriend’s agency.